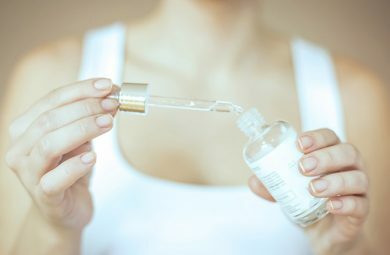 With our skincare routines becoming longer and longer with sheet masks, serums, oils and eye creams, it can be easy to forget about the importance of the basics. Cleansing and moisturizing have been top of the list since skincare routines began as we all want to keep our skin clean and nourished and if you don’t get these early steps right, then no matter how many face masks you use, you won’t achieve flawless skin. When it comes to a daily face washing routine, a splash of water and a touch of soup just isn’t going to do the trick. Read our top tips on how you can effectively cleanse your face and how to wash your face properly. 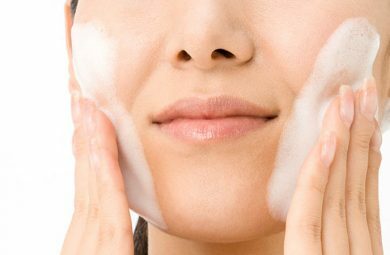 It can be overwhelming knowing where to start when it comes to building your skincare routine and picking out an effective face wash is an important choice to make. Face washes come in all different formulas, from nourishing cream cleansers and balms to lightweight gels and foaming washes. A lot of what you choose comes down to personal preference but you should also consider your skin type to get the maximum benefits from your face washing. Your face wash is designed to rid your skin of impurities such as pollution, dirt, and makeup and is essentially a detergent. Not all face washes are created equally and some can be a lot harsher than others. Whilst you may think that these cleanse your skin more effectively they can also strip your skin of all the essential oils it needs and may cause irritation on sensitive skin types. When choosing a face wash it’s much better to choose a gentle, fragrance-free, soap-free and alcohol-free formula, regardless of your skin type. Your face wash isn’t designed just to cleanse your skin, you can also get other benefits from it depending on your skin type. If you have acne-prone skin, you may want to choose one which has acne-fighting ingredients in such as salicylic acid, and if you have dry skin you can pick an extra-moisturizing one for additional nourishment. You can also experiment and see if you prefer the feeling of a heavily foaming cleanser, or if you want something quick, easy and non-foaming. You don’t just need to find one face wash which is going to do everything, you can use multiple products to effectively cleanse your skin in a couple steps. This is particularly beneficial if you are wearing makeup as you can use one cleanser, such as a micellar water or cleansing oil to remove your makeup and sunscreen, then a second more nourishing cleanser such as a cleansing cream or balm to gently remove dirt and grime. 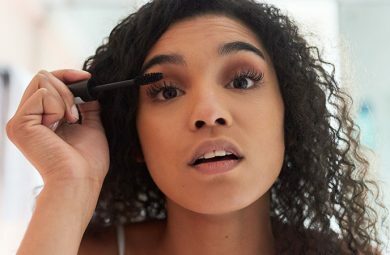 Putting a time and number on how often you need to wash your face isn’t personal enough, the best way to build your skincare routine is to really pay attention to your skin as well as taking a closer look at your lifestyle. We always recommend cleansing at night to remove the impurities on your skin from the day, even if you have gone makeup-free, but a morning or afternoon cleanse is up to you and your skin. If you workout in the morning, you will definitely want to cleanse but if you have dry or sensitive skin, it may be best to stick to once a night. The one thing that is agreed on is that overwashing your skin can break down your skin’s natural oils leaving it dry and irritated so it’s best not to go overboard. Now that you know what to use and when to use it, it’s important you understand how to wash your face properly for the most effective cleanse. It may sound obvious but it’s so crucial you get this part right if you want healthy and clean skin. One of the most important things to remember is that your skin is delicate, you don’t need to scrub too hard, start using manual exfoliants or reach for hard bristled brushes to get the job done, your chosen face wash should be enough. You will want to use lukewarm water to wash your face, anything colder or hotter can irritate the skin. Start by wetting your face to ensure your cleanser spreads easily on the skin so you can use less product, then apply your cleanser in circular motions to ensure everywhere has been covered. Massage the product into your skin for thirty seconds then thoroughly rinse with water. Pat dry your skin afterward with a towel and continue with your skincare routine. If you don’t learn how to wash your face properly, you may be left with blemishes, dryness, excess sebum and many more skincare issues, whereas if you have a good face washing routine you can guarantee all of your other skincare products are going to work much better. Take five minutes a day to sort out your face washing routine and you’ll have a better complexion in no time.